Frank “Tony Lip” Vallelonga is a bouncer who works in New York City, though he soon finds himself seeking new a new job when his nightclub is closed for renovations. Based on the strength of his references, Tony is invited by “Doc” Don Shirley, a highly skilled African-American pianist. The musician is in need of a chauffeur for an eight-week concert tour through the Midwest and Deep South. Though hesitant at first, Tony accepts the offer, intending to return to New York City by Christmas Eve. It only takes knowledge of the titular Green Book to know what the central theme of this film is. Named after and published by a New York City mailman named Victor Hugo Green, the publication in question was an annual guidebook for African-American roadtrippers. It was intended to show readers where to find motels, restaurants, and fillings stations black people could use. Society was segregated so thoroughly in 1962 when this film is set that many establishments flat-out refused to serve them in any way. Indeed, even knowing the history of racism in the United States, it is still horribly jarring seeing the conditions in which Don Shirley lodges. This is a man with a remarkable amount of talent, being fluent in eight different languages on top of his prowess on the piano. Such was the extent of his talent that the distinguished composer Igor Stravinsky, once said “his virtuosity is worthy of Gods”. In spite of these remarkable achievements, his audience is shown to only appreciate his talents as far as his onstage performances. The second he steps off the stage, he’s just another black man to them, and he is subject to the full extent of the baggage that comes with it. In spite of these heavy subjects, it’s not all doom and gloom – far from it. 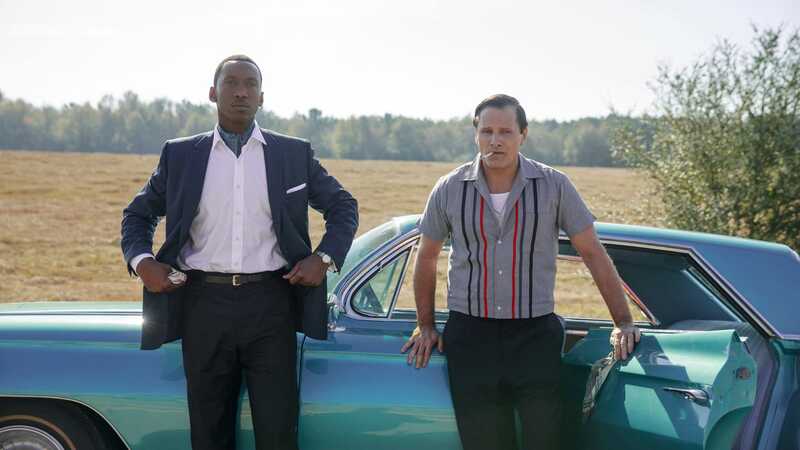 At times, Green Book seems to evoke The Odd Couple in how its two leads interact. The interactions between the boorish, frequently insensitive Tony and the introspective, worldly Don comprise a significant amount of the humor in the film. Indeed, what I particularly enjoyed is how much the characters learn from each other. Don begins the film with many causally racist tendencies, though never to the extent of the Deep South resident depicted. You get the sense that his bouts of insensitivity are more the result of inexperience and being a product of his time than of genuine malice. It is through interacting with Don that his worst habits are eventually excised and he eventually learns some problems cannot be solved by punching them. His greatest moments involve him refusing money at two different points. The first is when he refuses to abandon Don for a job that pays twice as much. The second instance is when he turns down a bribe to convince Don to play at a restaurant at which the musician is not allowed to dine. Meanwhile, being the consummate professional that he is, Don eventually loosens up and learns to appreciate Tony’s company. What I like about how they learn from each other is that neither is presented as completely in the right or wrong. Both of them have techniques that work in different situations. Tony’s ability to get people to go along with his ploys gets them out of just as many sticky situations as Don’s silver tongue and connections. These good touches do come with a rather hefty downside, however. A major plot point in the film is that Don is rejected by both races. White people don’t like him as a result of racism while he fails to understand black culture due to his distaste of popular music. While the former can’t be denied, the real Don Shirley was active in the civil rights movement to the extent that he befriended Martin Luther King Jr. and took part in the historical Selma march. He was also friends with many prominent contemporary black musicians, including Nina Simone, Duke Ellington, and Sarah Vaughn. It is therefore ludicrous that he had never listened to Aretha Franklin or Little Richard as the film suggests. Many journalists also took issue with the film’s plot, claiming that it was aimed at making audiences feel good. It’s extremely difficult to deny this supposition, as Tony is frequently called upon to rescue Don from many dangerous situations. It especially doesn’t help the film’s case that Don Shirley’s family hated it. While the film suggests the two developed a strong friendship, Mr. Shirley’s relatives believed it to be a strictly employer-employee relationship. Granted, this aspect isn’t verifiable, and friends of Mr. Shirley have said the two were indeed close, muddying the issue further. Less defensible is that Mr. Shirley’s family was never consulted during the film’s production – they had never even been asked. Mahershala Ali, the actor who played Don Shirley, was especially horrified to learn this, for the producers led to him to believe the man had no living relatives willing to help. 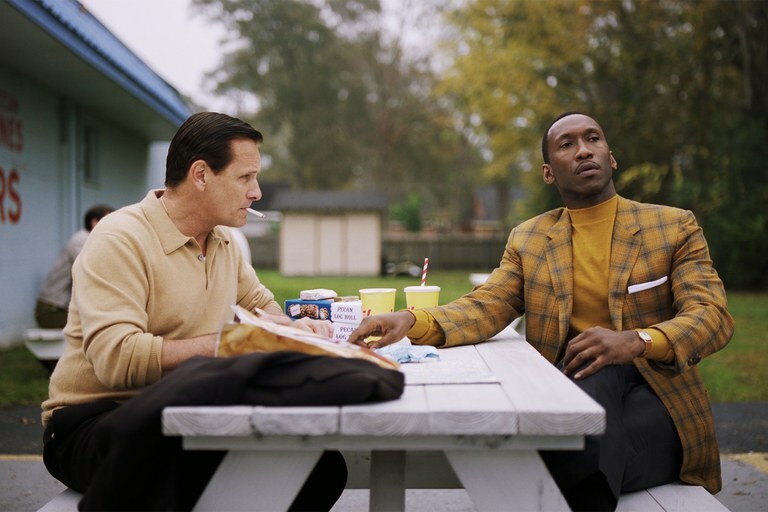 Although it’s a given that these fictionalized accounts are not, nor can they ever be, a completely accurate depiction of real-life events, Green Book, to its detriment, ended up taking quite a few unfortunate liberties with reality. It’s difficult to appreciate what a biographical film does well when you can’t depend on it to tell the truth in the most crucial moments. If I were to sum up Green Book in a single word, it would be “safe”. Like many efforts from 2018, it wasn’t afraid to tackle the touchy subject of racism in the United States. While I give Peter Farrelly a lot of credit for making a film about a serious subject after making his mark with various wacky comedies such as Dumb and Dumber, I feel the main problem is that his effort ultimately doesn’t bring anything new to the table. It does capture just how unconscionable the practice of segregation was, but so do many other period pieces from around the same time such as Kathryn Bigelow’s Detroit or Ava DuVernay’s Selma. Had it not been for its Oscar nomination two months after its premier, I likely wouldn’t have remembered seeing it in the long run. Indeed, without a unique take on the subject of racism, it can be difficult to appreciate what it does well. As it stands, there is no ground Green Book covers that wasn’t handled better in films such as George Tillman Jr.’s The Hate U Give or Carlos López Estrada’s Blindspotting. For that matter, I even find myself giving more credit to Spike Lee’s BlacKkKlansman. It was an example of a film that went for the gold and wound up with the bronze whereas Green Book seemed to deliberately aim for the latter. 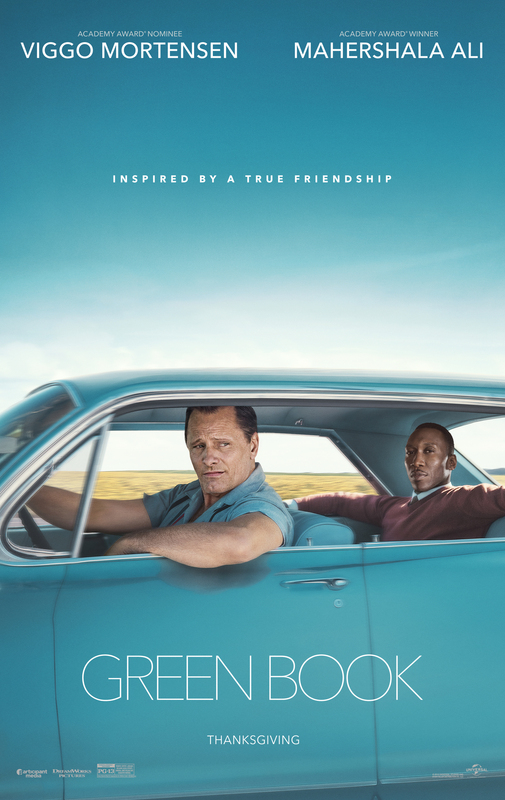 This isn’t to say the film is bad; the interactions between Viggo Mortensen and Mahershala Ali are very charming to watch, and its heart is in the right place despite its myriad execution issues. Still, without anything substantial to offer in terms of insight and lacking in historical accuracy, it didn’t have much in the way of staying power in the long term. Interesting review! Personally, I think that Farrelly didn’t want to cover any ground on the theme of racism. He simply wanted to make a comedy, a feel good movie, using a script by the son of Tony Lip. And as a comedy I think that it works perfectly! Even if what you’re saying is true, I still feel that it’s a bit lacking in ambition and (more importantly) historical accuracy for me to recommend. It’s true that many films have to take creative liberties with reality, but Green Book ultimately doesn’t do Don Shirley justice. Plus, it would be strange for a film in which racism is an important theme to not want to cover any ground on the subject. If would be like if the team behind the adaptation of The Hate U Give didn’t want to cover any ground on the theme of police brutality. Either way, it’s easily one of the weakest films I’ve seen win “Best Picture”, though it’s not worth getting angry over as some journalists have. Bad/weak films have won “Best Picture” long before the turn of the century. I don’t know enough about Don Shirley to say that the movie doesn’t do him justice. For what I read, he kept his private life for himself. I’ve read that his family isn’t happy about Green book, but nothing more than that. As for racism, the theme is there and I agree with you that it’s not well-developed/ nor treated in a profound way, but I wouldn’t expect that from a comedy. I think that this movie suffered from a lot of hype/publicity/false expectations. If taken for what it is (a feel-good movie, a light-hearted comedy), I think it’s nice! Be that as it may, the fact that the production staff didn’t even bother consulting Don Shirley’s surviving family members demonstrates, to me, that they didn’t care to do the subject justice. It was jarring seeing such an interesting character essentially play second fiddle to a less interesting figure. And as a comedy, I felt it was, at best, kind of okay; some of the jokes worked, but the fried chicken segment and the radio portion were some of the most forced things I’ve ever seen. There’s nothing inherently wrong with a feel-good story, but this one feels highly disingenuous.